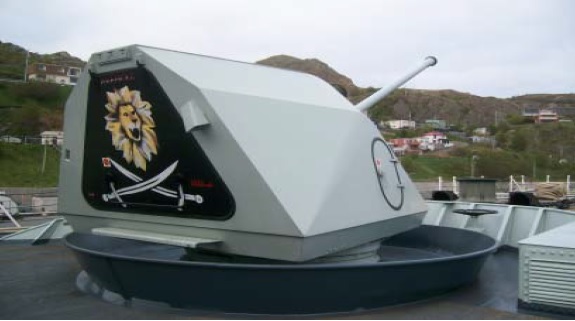 Gunshield art on ships of the RCN became prominent during WW2 particularly on the corvettes that served in the RCN. 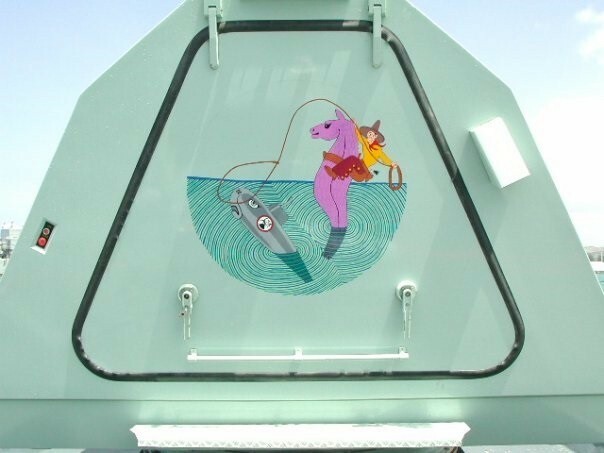 Gunshield art varied greatly from ship to ship - incorporating crests of towns they bore the name for, cartoon characters, pin-up girls, etc. Little record was kept of these works of art and much has been lost to time. 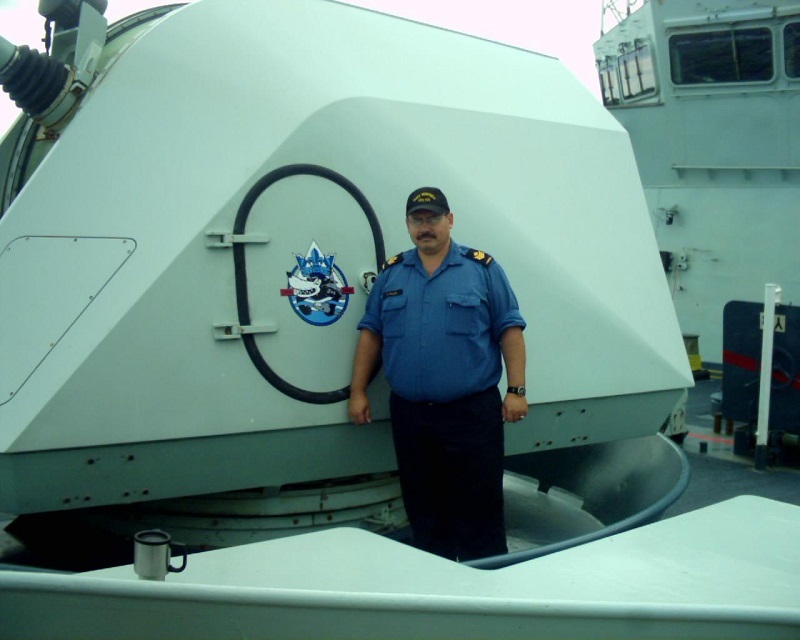 David Freeman, a retired Lieutenant Commander whose father and uncle served in the RCN throughout the Second World War, has written a book on the subject - Designs of Distinction - which helps fill in the knowledge gap on this portion of RCN heritage and history. 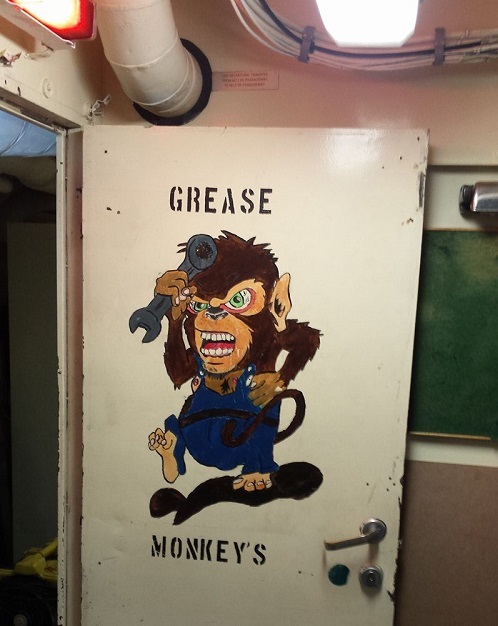 Not to repeat David's work, this page will be for artwork from ships currently in commission in the RCN - whether it is gunshield artwork, or artwork painted on mess deck doors and bulkheads. 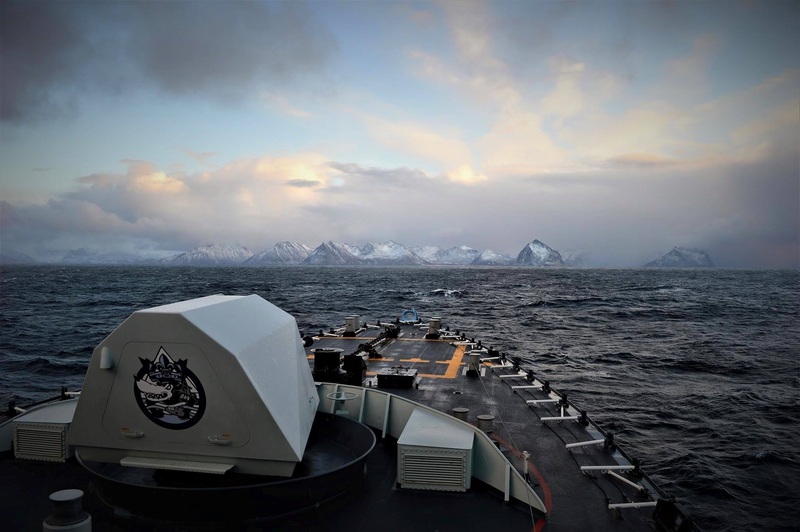 For ships of the RCN no longer in commission, images of their artwork will be displayed on their individual pages on this site. 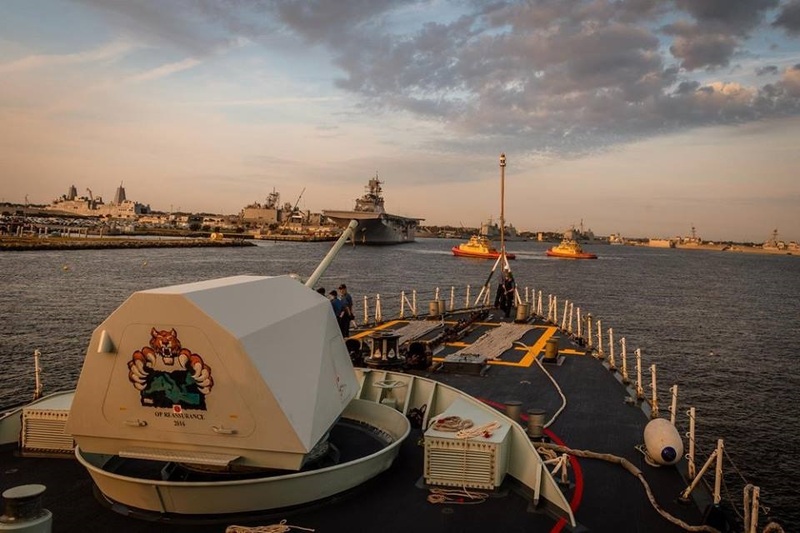 If you have any photos of the gunsield art on HMC ships or artwork throughout the ship that you would like to share on For Posterity's Sake, please send me an EMAIL. 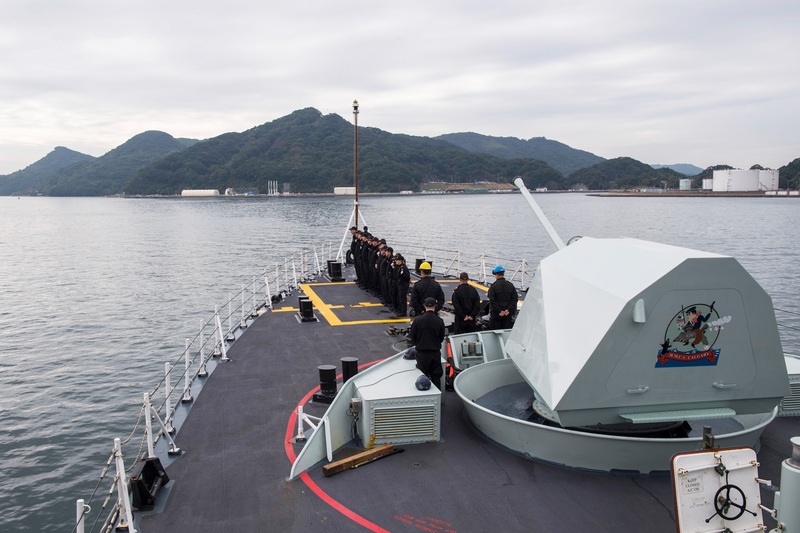 Crew members of HMCS CALGARY standby on the focs'le as the ship departs Sasebo harbour, Japan during Operation PROJECTON on November 27, 2018. 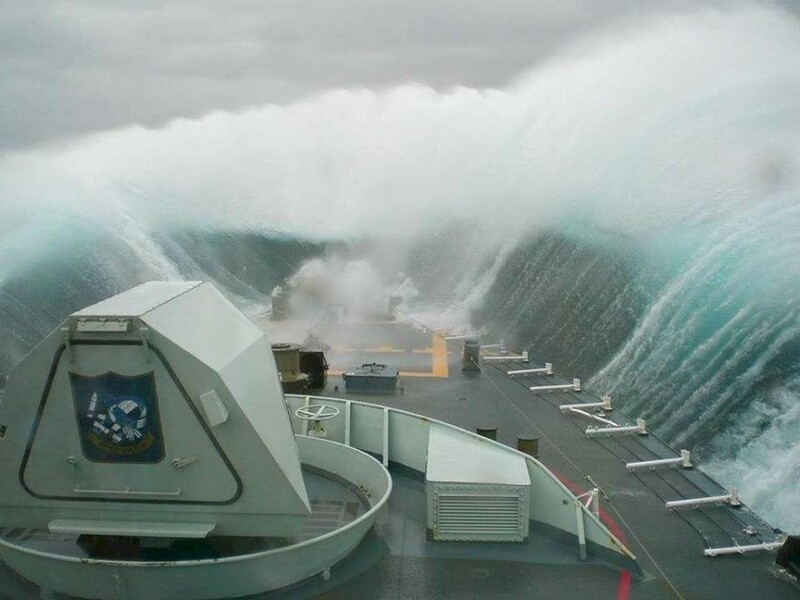 HMCS CHARLOTTETOWN heading into some big waves during Operation ACTIVE ENDEAVOUR with, Standing NATO maritime Group 1 in the Mediterranean Sea on 07 Feb 2012. 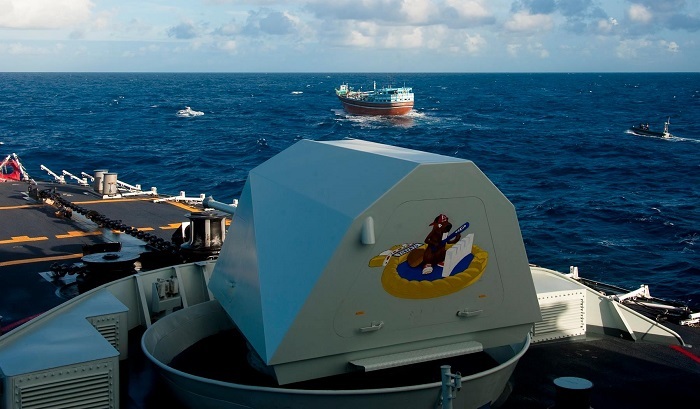 The ship's gunshield art is different than the ship’s badge. 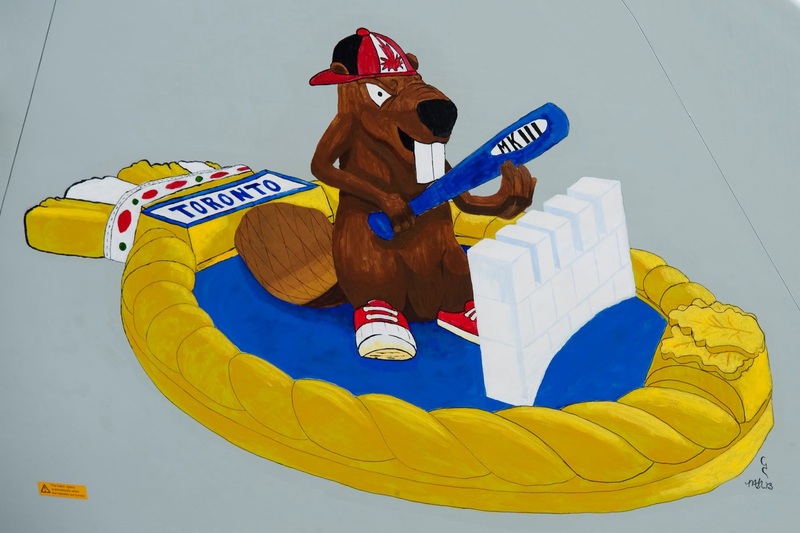 The badge incorporates aspects of the city of Montréal. 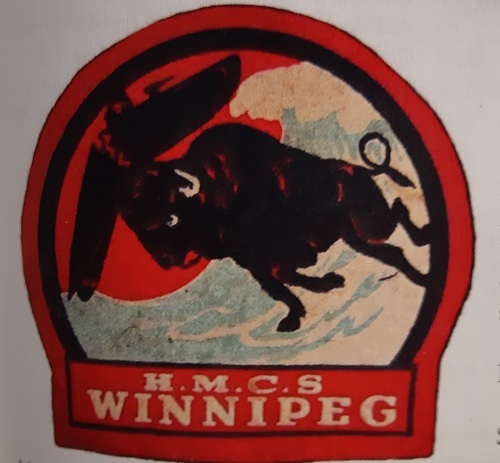 The badge depicts a stylized mountain bordering a river, and superimposed upon the mountain, a coronet of fleur-delis and maple leaves. The river represents the St. Lawrence River; the mountain, Mount Royal, in the midst of the city. 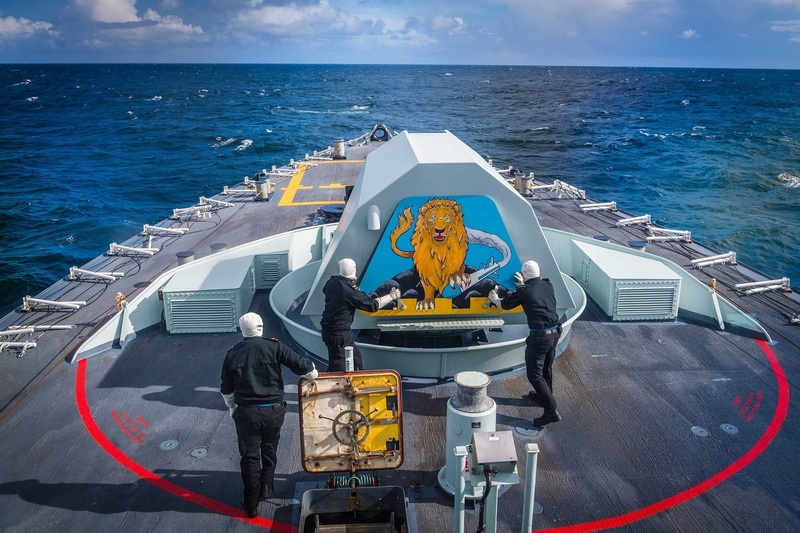 The gunshield art combines elements from the ship’s badge and that of HMCS MONTRÉAL K319, a River class frigate that served with the Royal Canadian Navy during the Second World War. On 17 December 1944 she rescued survivors from German submarine U 1209 which struck rocks in the neighbourhood of Wolf Rock (southwest of Land's End) and sank shortly afterwards. 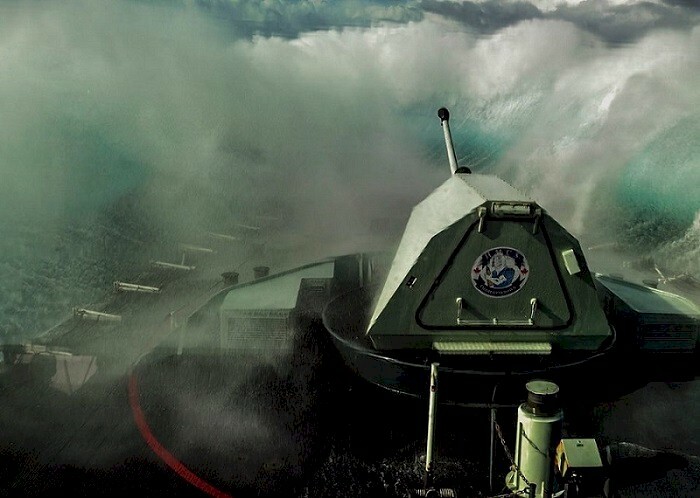 U 1209 carried a complement of 51 of whom 42 survived. 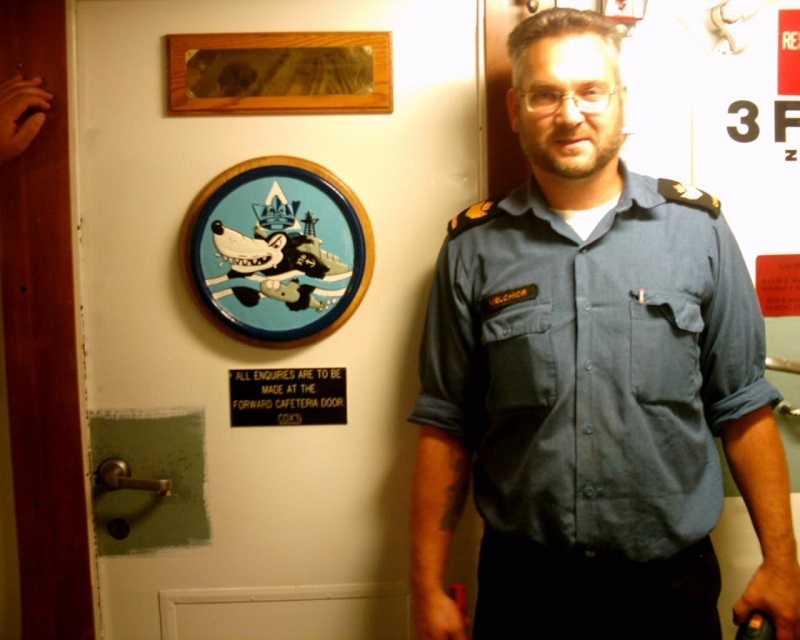 The Commanding Officer Oberleutnant zur See Hülsenbeck, died of a heart attack on board HMCS MONTRÉAL K319. 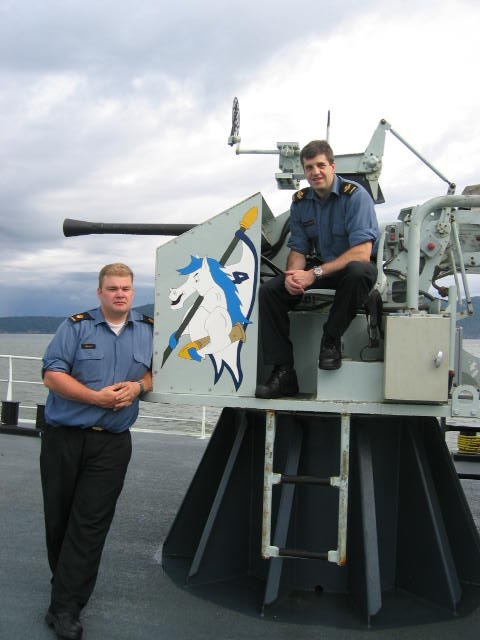 The story behind the gunshield art: I was the Exchange (Canteen) Manager on HMCS MONTRÉAL, and it was coming up to her 10th anniversary. I held a contest for designing a badge for the 10th anniversary in hopes of drumming up some sales for the canteen. 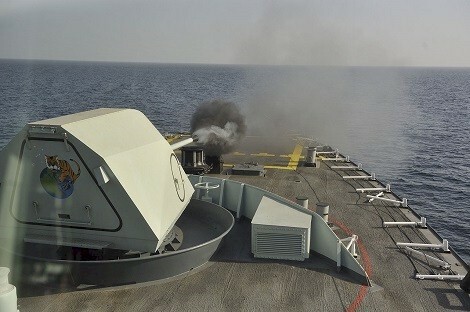 I submitted my design as well ..... and it won!! 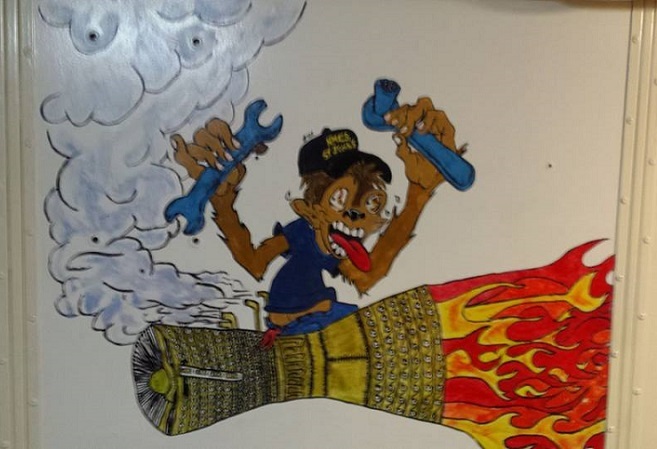 I was planning on selling the artwork as stickers in the canteen - so I hired the graphic artists at Golden Silkscreening to touch up my work ..... and then to another company to have stickers made. 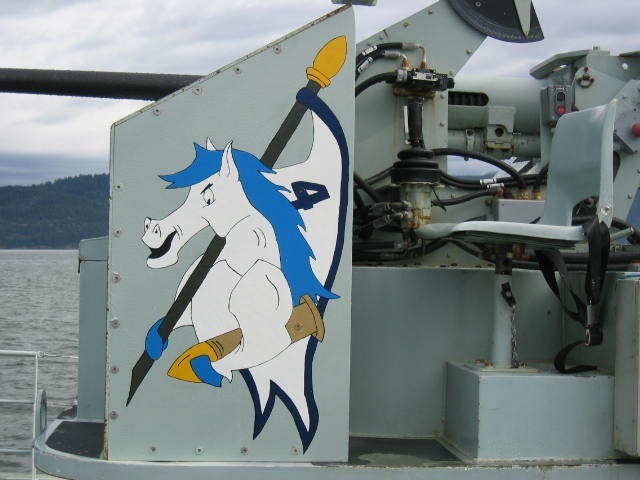 While I was talking with the company making the stickers, I heard that Combat wanted the artwork on the ship's gun and the Air Det wanted it for their engine covers on the Sea King. 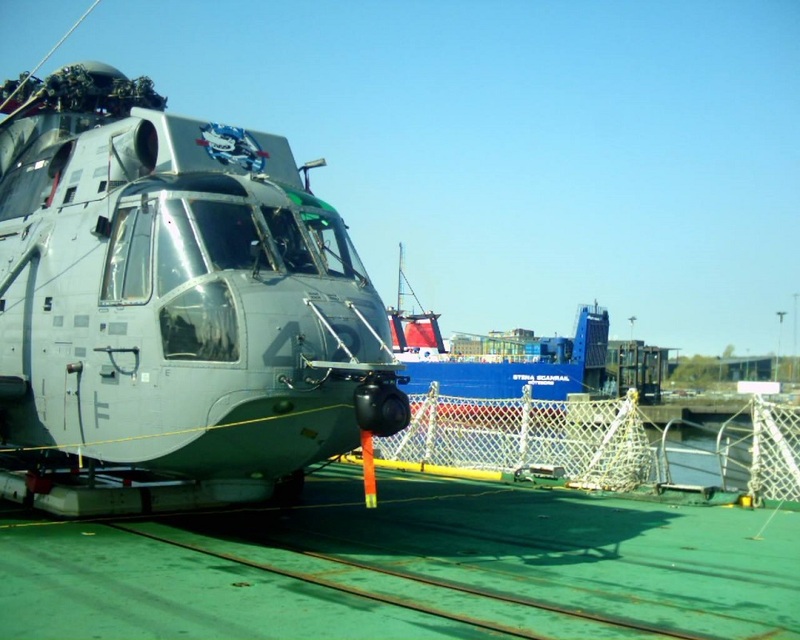 The company was able to size up the badges for the Sea King and gun mount. The badge was unveiled on our 10th anniversary during a trip to Montréal, Quebec. 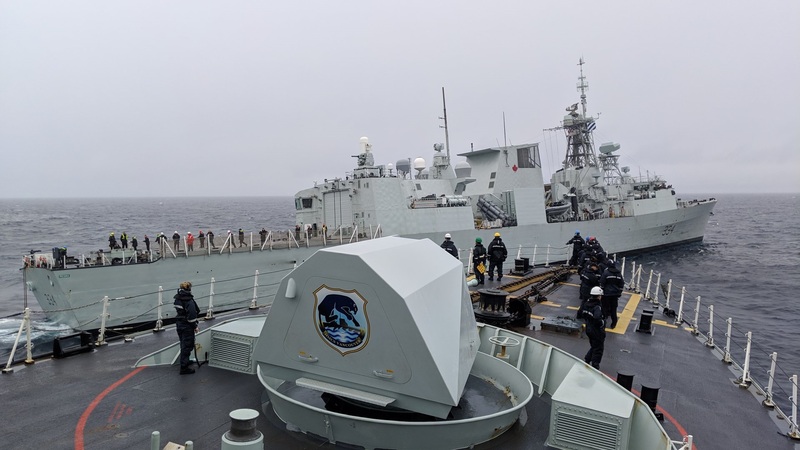 (1) PO2 Mitch Cormier standing beside his gunshield art design (2) HMCS Montreal's Sea King proudly displays the ships gunshield art on her engine covers (3) PO2 Karl Melchoir stands beside the badge that is mounted on the door to the Chiefs and POs. PO Melchoir created the mould for casting the badges. 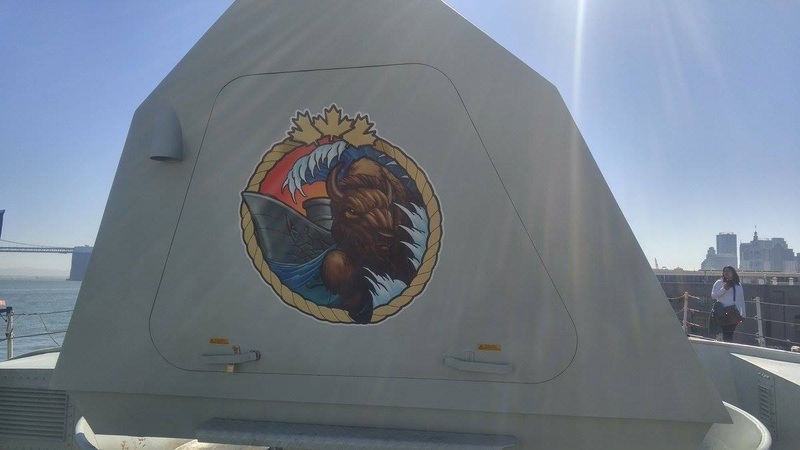 The gunshield art on HMCS OTTAWA 341 (4th of name) makes reference to her heritage and the WW2 destroyer HMCS OTTAWA H31 (2nd of name). 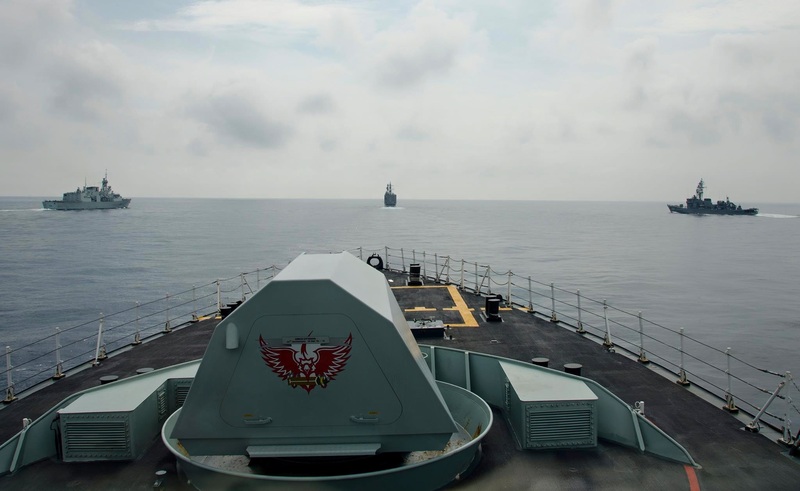 HMCS OTTAWA H31 formerly HMS GRIFFIN, was transferred to the RCN after the loss of HMCS OTTAWA H60. 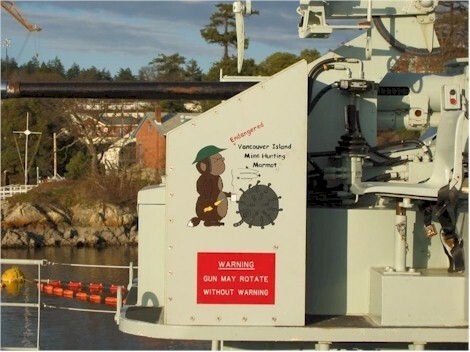 On 20 Mar 1943, she was commissioned at Southampton as HMCS GRIFFIN. 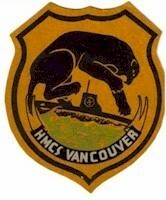 On 10 Apr 1943, despite the objections of her captain, she was renamed HMCS OTTAWA. 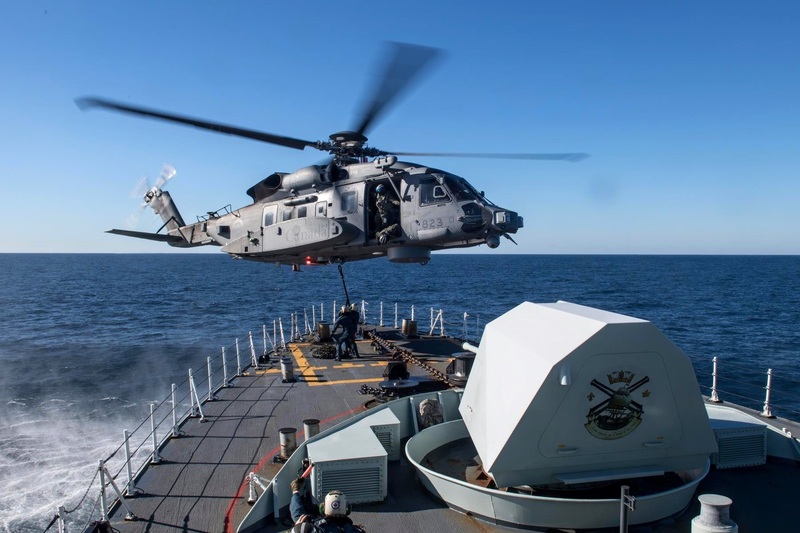 Operation ARTEMIS is the Canadian Forces (CF) participation in maritime security and counter-terrorism operations in the Arabian Sea region as part of multinational Combined Task Force (CTF) 150, one of the three task forces operated by Combined Maritime Forces (CMF). 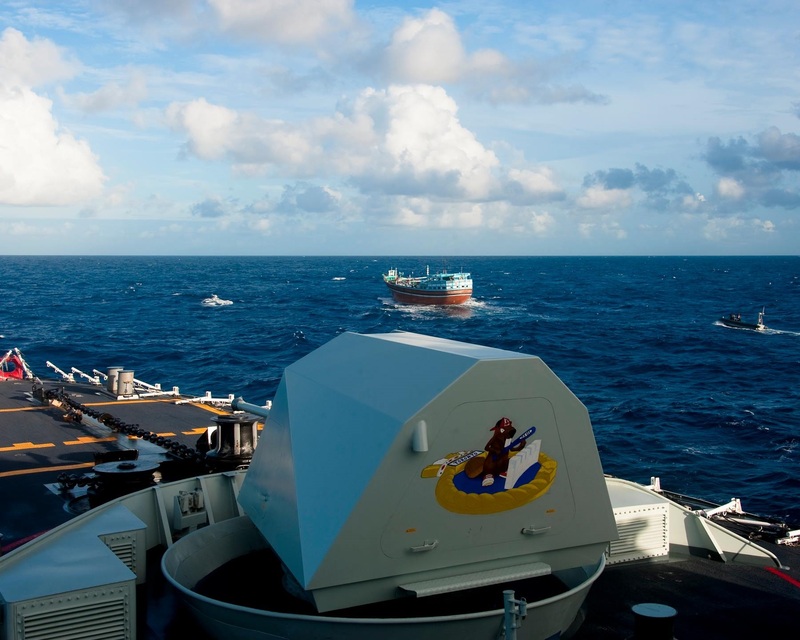 CMF is a 27 nation naval partnership, which exists to promote security, stability and prosperity across approximately 2.5 million square miles of international waters in the Middle East, which encompass some of the world’s most important shipping lanes. 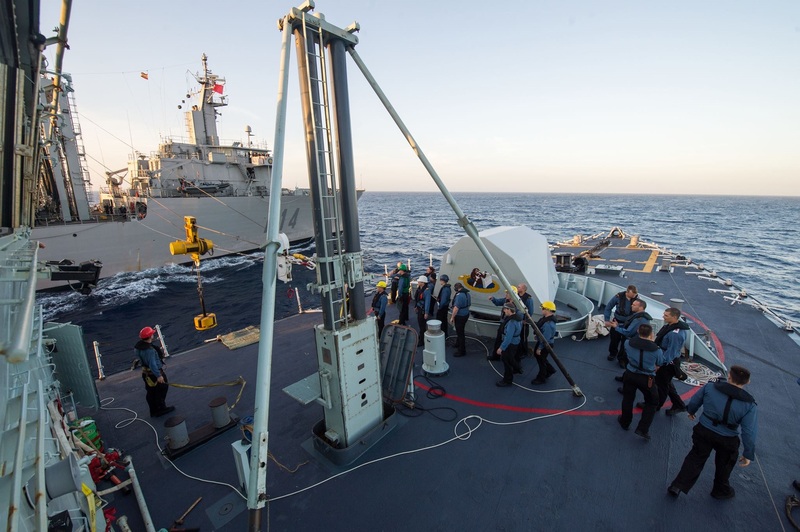 The presence of HMCS TORONTO in the Arabian Sea region also gives Canada the flexibility and capability to respond quickly to emerging crises in the region. 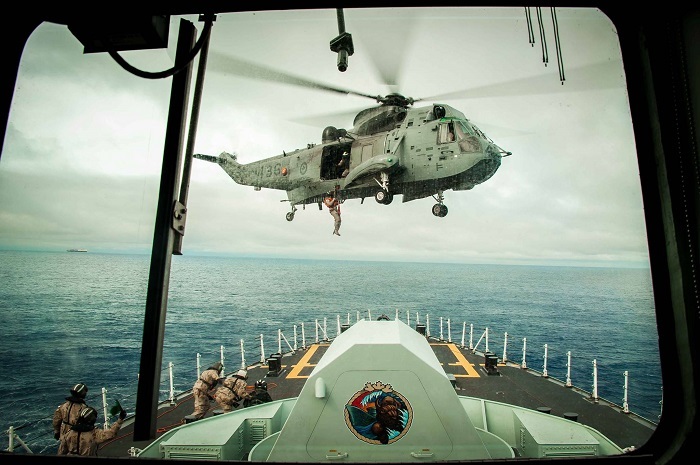 HMCS VILLE DE QUEBEC’s CH-148 Cyclone, Avalanche, conducts a foc’sle transfer while sailing in the Atlantic Ocean during Operation REASSURANCE on January 12, 2019.